The Pirastro Aricore Violin A String offers a classic sound to the modern musician. The synthetic gut core produces a warm sound with a wide response range. This model has a medium gauge tension for optimum balance between a versatile sound and projection. The aluminium winding keeps the string insensitive to change from temperature and humidity. This model has a ball tailpiece end and is designed for full size violins. 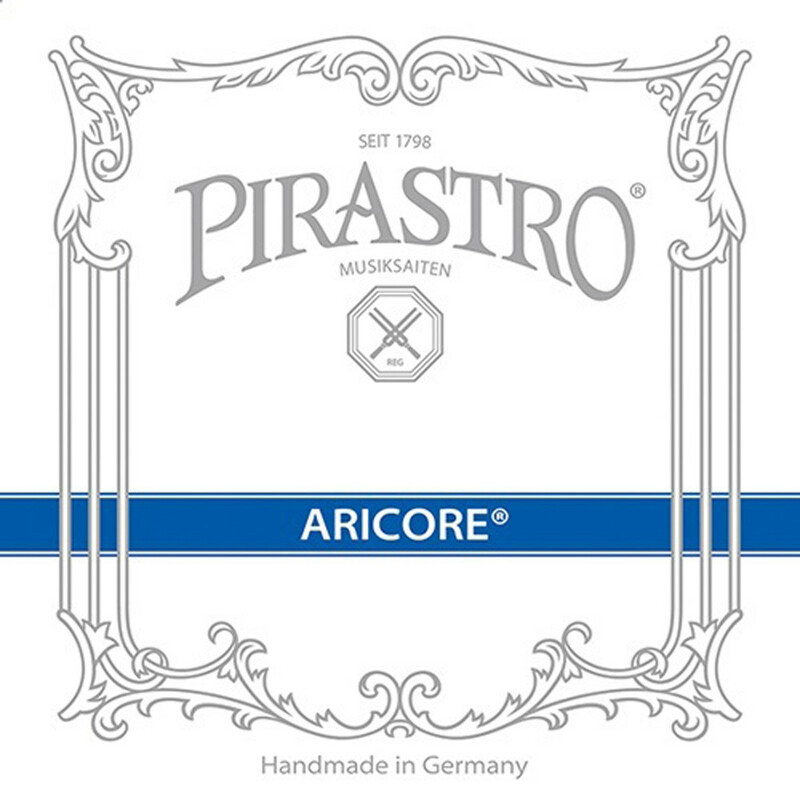 The Aricore strings are inspired by a traditional sound for the modern musician. These strings are made from a soft polyester core, improving their playability over extended periods. The polyester is designed to sound similar to gut, but with increased durability. This creates a dark and mellow sound, which is perfect for small ensembles and quartets. The Aricore strings also reduce the hiss that can be found on some strings for a more consistent and rich sound. This series is ideal for musicians requiring a reliable, long lasting string with balanced response.